Stress can have adverse affects on our physical health, and when left unchecked, it can lead to chronic conditions such as diabetes, cardiovascular diseases, and obesity. To raise awareness about the importance of mental well-being, October is observed as Emotional Wellness Month.Learn a bit about mindfulness. Take a break from your hectic schedule. Slow down a little. Breathe. According to the study, meditation and mindfulness can help create new grey matter in the brain, which improves memory, learning abilities, compassion, and self-awareness. 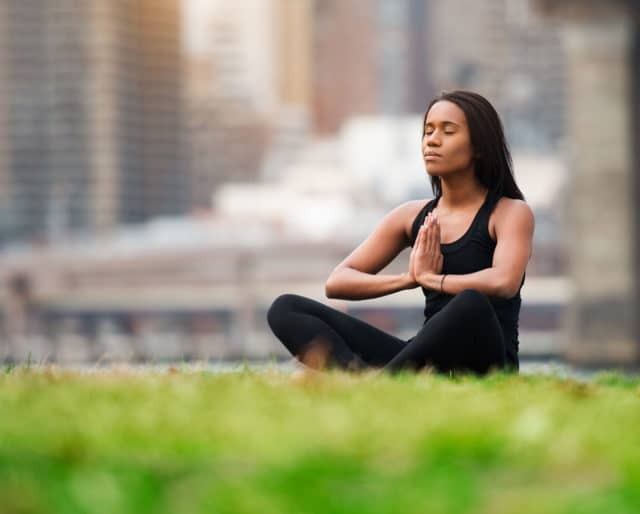 The University of Massachusetts professor developed an eight-week program called Mindfulness-Based Stress Reduction (MBSR). The program was directly inspired by Buddhist teachings of self-awareness. Hatha Yoga and Transcendental Meditation began to gain popularity throughout America and Europe. Jack Kerouac's book explored his earlier experiences with Buddhism — which then triggered interest and curiosity about meditation. Teachings of Siddhartha Gautama spread throughout Asia, and the religion eventually came to be known as Buddhism. Call some certified massage therapists and let employees take a well-deserved break. Sharing meals has been shown to be beneficial for your physical, emotional, and mental well-being. If you have a history of panic attacks or anxiety, take this opportunity to foster an animal. Petting a dog or a cat is known to be a stress-buster. Plus, you will be doing something good in the process. If you have had a bad day, sleep it off. When you are sleeping, your brain comes up with logical conclusions for bad events that happened during the day, thus helping you cope better. The way you feel about something is directly related to your digestion, heart rate, breathing, and blood flow. The next time you are about to make an important decision and your stomach churns, consider it a warning sign. Contrary to popular belief, studies have shown that the way we feel about something shapes our morality and not the other way around. Negative emotional well-being can lead to depression and anxiety. Mindfulness is the practice of being in touch with the present moment. It is the one of the most important principles to achieve better emotional health. We all live hectic schedules. Looming deadlines and nagging bosses can stress us out. Emotional Wellness Month teaches us to take things one step at a time.